Let’s get one thing straight. 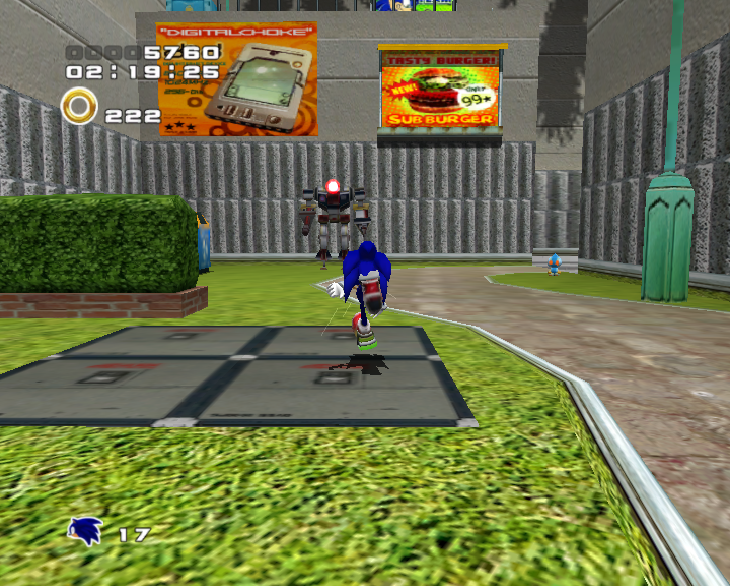 If there is any Sonic games that deserve to be remade, it’s the Sonic Adventure games. You know what people like more than their favorite games? Their favorite games only better: Crash Bandicoot N-Sane Trilogy, Ocarina of Time 3D, Resident Evil HD, Rachet & Clank, Metroid: Zero Mission, Super Mario 64DS. Remakes of beloved classic games have been both well-received and successful. It is absolutely a viable business avenue for a gaming publisher/developer in 2017. Just the sheer hype surrounding the Final Fantasy VII remake is a convincing argument, and that game’s not even released yet! The concept and promise of such a game alone can pierce deeply. The great thing about remakes is that they show you the game as you remember it, not as it actually is. The time and context in which a game was released is important; what was cutting edge in 1998 or 2001 may not look so hot in 2017. I think it can be valuable to update past games to modern standards, introducing them to a new generation of players and reaffirming them to those who grew up with them. The flaws of Sonic Adventure and Sonic Adventure 2 are flaws of their era, leading lots of people to endlessly complain about how those games “haven’t aged well,” and render them irrelevant games. But hindsight is not that cut-and-dry, now is it? We can forgive games like Ocarina of Time (which is just as much a product-of-its-time as the Adventure games) because we’ve seen their sequels. You can play Ocarina without incident because you know that Wind Waker, Twilight Princess, and Skyward Sword exist. You’ve seen that same general gameplay style & mechanics refined and polished over literal decades, with better graphics each time. But Sonic Adventure 1 & 2 don’t have that luxury. That gameplay style exists frozen in 2001, caught in a fixed point of growth. Heck, if anything, the closest thing we got to another adventure game, Sonic 06, did the opposite of growth, which certainly doesn’t help. So what better way to silence this tired “hasn’t-aged-well” hive-mind narrative than by giving these games the update they deserve? Show these smug and pretentious pundits what these games meant to us during their respective launch. Iron the kinks. Polish the presentation. Make it look and feel the way we remember it in the context of the era. Don’t give us half-baked ports to PSN and XBLA that fix none of the flaws, pacing, and sound mixing. I’m talking about a ground-up remake. There is so much love for the Adventure era; there is no doubt in my mind these remasters would sell like hotcakes. There are multiple online communities dedicated entirely to this specific era of the Sonic the Hedgehog series, and most of them have been asking for a “Sonic Adventure 3” for years. On the subject of SA3, it should be stated that making a brand-new game that attempts to recapture a specific era of Sonic is harder than it sounds. Heck, Sega tried to do this for Classic Sonic with Sonic 4 and failed. It took a second attempt with a different set of hands to give us Sonic Mania. As such, I think it’d be infinitely less dangerous to give us SA1/SA2 remastered, instead of an all-new SA3. While it’s a safer solution, it’s also still an effective solution, as it would still represent the Adventure era and would undoubtedly sell well. It’s low risk, high-reward (that combo doesn’t happen often). Shoot, the existence of a remastered Chao Garden alone is enough to justify it. Heck, the demand is so strong that fan are attempting to do it themselves, with the #SARemastered project. The project’s twitter has over 1k followers, despite there not being a single second of gameplay footage to back it up. Again, the mere concept sells itself. Despite the sudden trend to diminish their impact, the Sonic Adventure games are still viewed favorably by many, many people, even those that haven’t played a Sonic in years! I think an overwhelming chunk of the Sonic fanbase enjoyed the Adventure games at the time of their release, and would love to see those games get the update they deserve. Who knows, it could even bring back those who have left the series. 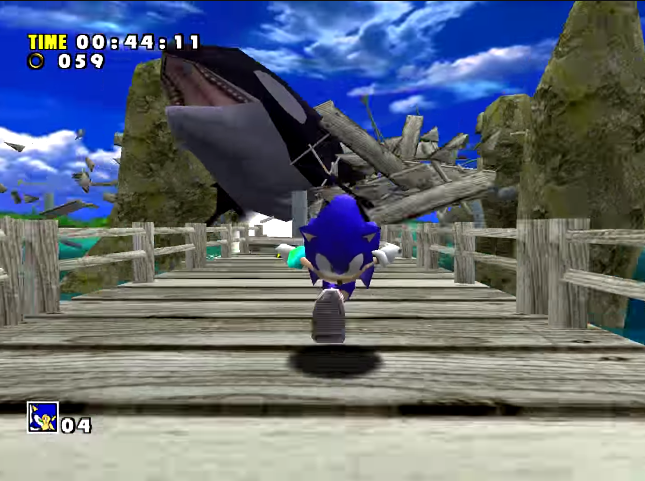 By not remaking Sonic Adventure and Sonic Adventure 2, Sega is missing a big opportunity. That’s my reasonable assessment. Today, I’d like to introduce a new segment called Bonus Round. 1) How would you want to see the Chao Gardens expanded upon? 2) What could be done to Big the Cat’s stages to make him less boring? Should he get cut? 3) What developer/team would you hire to create these remakes? (it can be Sonic Team or someone else). I’ll compile your comments and see if we come up with a follow up article, based on your suggestions. I’ve never done before, so let’s try it. Could be fun!